Home » Hyomin » Jiyeon » Pictures » Qri » T-Ara » HyoMin, JiYeon, and Qri snapped some photos with their lucky fans! 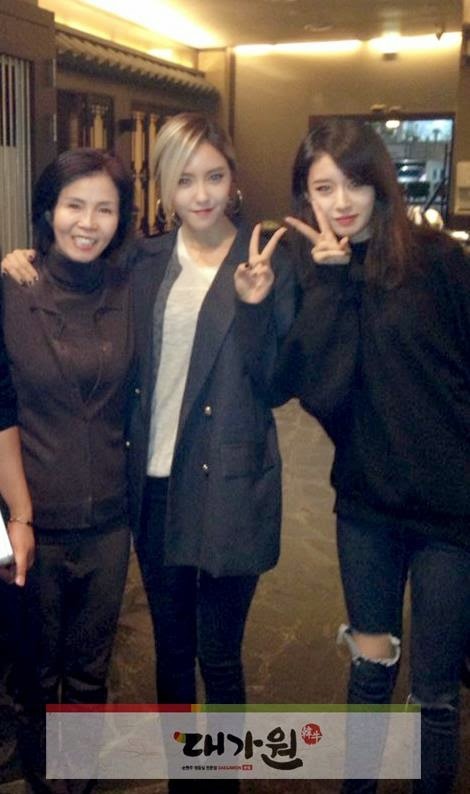 HyoMin, JiYeon, and Qri snapped some photos with their lucky fans! How much luck do you need to be able to meet your idols and take a picture with them? Well, it seems that these fans/friends were lucky enough to be able to snap some pictures with T-ara's Hyomin, Jiyeon, and Qri!